European Youth Press (EYP) is a network of youth media organisations in Europe. It works to build a society where empowered young media makers are actively participating and contributing to the public sphere by creating fair, independent and responsible media, fostering the development of democracy, international development and a sustainable future. With 27 member organisations and several Committees, the EYP reaches more than 60,000 young journalists across Europe, forming a solid volunteer and professional infrastructure. It is a democratic, non-profit institution, founded and controlled by young media makers, with hundreds of enthusiastic, dedicated, active organisers, trainers, volunteers and a handful of paid project workers, all between 20 and 30 years of age. The organisation serves the national structures through the development and coordination of projects on European level. We believe in a free and inclusive society that upholds human rights, where unbiased, well-informed and mindful media makers and activists, along with independent and professional media empower and inspire the engagement of well-informed citizens. The main aim of the EYP as well as its member organisations is to inspire young people to involve themselves in media and take an active part in civil society, by fostering fair and independent journalism. – Participation – by enabling young journalists to lobby for their cause and by representing young journalists on a policy level. 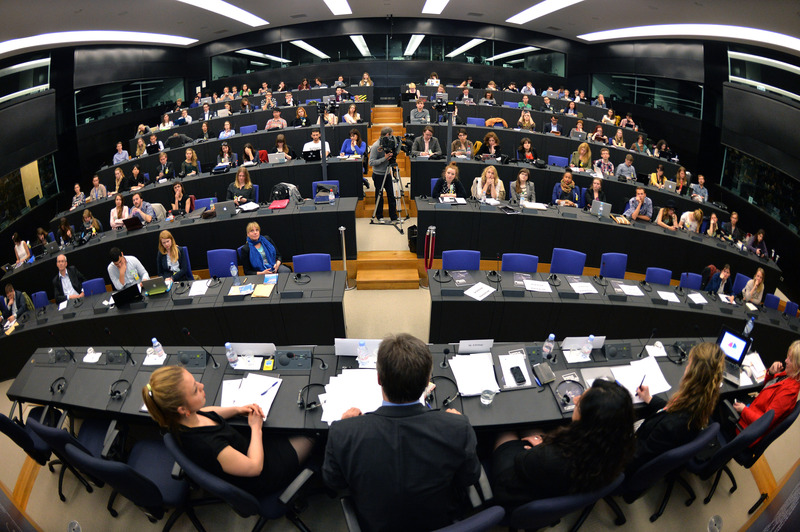 The EYP organises seminars, training and debates for young journalists while also taking an active part in discussions regarding the standards in journalism education and media policies throughout the European Union and beyond. Stay in touch. Contact us!